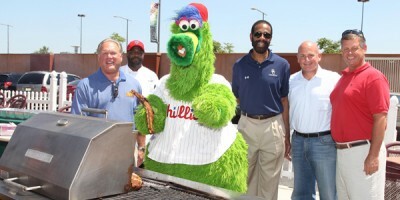 The Garry Maddox/Stephen Starr BBQ Challenge took place Saturday at Citizens Bank Park and raised $75,000 for the Youth Golf & Academies Program. The program is a non-profit run by Garry Maddox that provides academic support and enrichment services to inner-city youth. Competitors battled in two divisions, a pit master (enthusiast division) and a restaurant division. Garry’s Rib Challenge winner featured both divisions and the winners received a trip to the 2011 World Series.